Trump and Pence took a stand for LIFE at the White House today! Here’s something you probably won’t hear much about in the media. 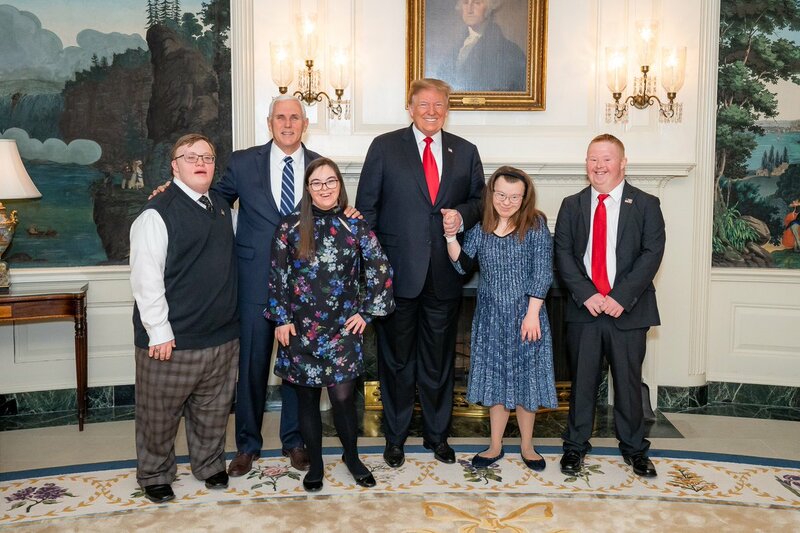 Today in the White House, Trump took a stand for life in welcoming some wonderful guests on World Down Syndrome day. Once again I’m glad to see Trump standing up for life in honoring marginalized people who have Down Syndrome. We’ve written here several times about how doctors sometimes encourage abortions if their children are going to have Down Syndrome. This is why it’s so important to stand up for the lives of these wonderful people. So a big kudos to Trump and Pence for giving them a voice today. During the 2016 campaign I seriously questioned Donald Trumps commitment to the pro-life cause. I am happy to say I was wrong about him on this. Kudos Mr. President! My cousin was Downs. One of the most important thing I learned from him was unconditional love. Thank u President Trump and Vice President Pence for standing with these precious people. Good Trump. It’s good to see him on the right side of important issues such as this. Great. Now just stop signing budgets that funnel hundreds of millions of dollars to Planned Parenthood, and we’ll be cool. 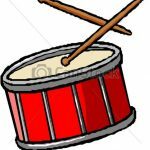 Trump is having an OUTSTANDING day!!! Thank you President Trump, today’s activities have warmed my heart no end! Twice in one day, good Trump. The Israel announcement on the Golan heights and now this celebration of life. Thank you Mr president. Edit* And vice president Pence too. I love this story. Such a positive message. The most awesome day for a US president and the USA in decades. My soul is loving this. Kram Nivel Mine too . It is a blessing to raise a child with special needs such as autism in my case. While Down syndrome is a visible disability, autism is not and people assume there is nothing wrong and some even say negative things when autistic child does autistic things. It is very challenging mentally & economically cos one of us to stay home all the time to meet his special needs . And we get nothing from anyone not that we owe. not even a little bit of tax credit . But you got to do what you have to do. Live and deal with the reality! That is an AWESOME picture! Go Trump and Pence! Happy pics! Notice how the young man on the right is dressed? Thank you Mr. President & Mr. Vice-President for stand for life. Great picture above. It makes me sick that any doctor would advise abortion for any infant especially one’s that have down syndrome. They are humans & should, & have the right, to enjoy life just like everyone else. Proud Veteran It’s very interesting. I had my children later in life (late 30’s and early 40’s). Both times they wanted to do an amniocentesis to determine if the child had Downs Syndrome implying that I would abort if they did. Both times I declined and said why would I do that? I will still have the baby. How sad that this society values life so little. He’s like butter… he’s on a roll. Kudos. Beautiful pictures – beautiful hearts & smiles! God bless our President & Vice President & these beautiful people! I love Trumps joyous looking smile in these photos! ruthiedoggiemom Yes, he has a nice smile. We’ve written here several times about how doctors sometimes encourage abortions if their children are going to have Down Syndrome. I’m convinced they do it because the first time you ever MEET a kid (or hell, adult) with Down’s Syndrome, it throws the leftist probort talking points about “quality of life” and “ability to be happy” straight out the window. Never met one that wasn’t just the happiest, most joyous, loving to be alive kid I’ve ever met. They live extremely fulfilling lives, and are full of all the same thoughts and feelings and hopes and fears as anyone else. Dehumanizing them (or anyone else in a similar boat) in any way is disgusting. While there are differing levels of retardation, the majority of Downs Syndrome people are very capable of doing routine tasks, often better than “normal” people because the DS people don’t get bored, so their first product gets just as much attention as their last product. I remember working in my grandparents store in Yonkers, NY watching a group of DS folks waiting for the bus to go to work. They were so happy and proud to have jobs, it was uplifting. Autism has it’s own rewards also. What a great picture! Thank God for each one of their wonderful moms. The place where I volunteer (a lunch program in a Senior Center) also has a number of workers who, while not having Down’s Syndrome, are definitely mentally challenged. They are supervised to various degrees and do specific tasks like setting tables in the dining room and busing tables after people are finished eating. Sometimes a little extra patience is necessary but on the whole they do a great job, and most of all, CARE about doing a great job. How can anyone deny the inherent value of these people? I love the pictures, we are privileged to have such a caring President and VP. My friends daughter is Downs , she is the sweetest most precious child, she makes me happy to be around her. God Bless all these special children who are gifts from our Lord as all children are. Thank you President Trump and Vice President Pence. Wow!!! A day full of Good Trump!! Is anybody but TRS covering it? Probably not Lillie, it’s their loss. This is why so many people are coming back to TRS after a pause due to dropping Disqus. That and the amazing people who comment here. Lillie Belle I may actually sleep well tonight. Lillie Belle I’m watching Bret Baier now, he’s covered most of the high points so far.